A 45-YEAR-OLD POSTMAN, found to have “abused” a bus driver for not giving him a receipt for five cent, lost a €75,000 claim in the Circuit Civil Court for defamation and now faces a legal costs bill of close on €20,000. 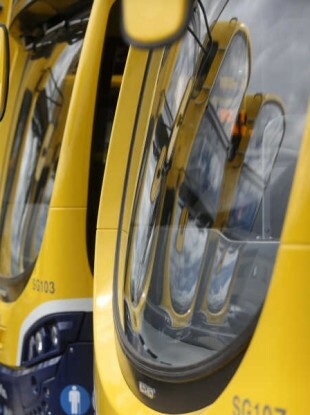 John Moran, of Coolevin, Ballybrack, Co Dublin, told Judge Jacqueline Linnane he had put €2.20 into an automatic ticket machine in a bus in Dun Laoghaire and had to ask the driver for a receipt which would allow him to later claim a five cent refund from Dublin Bus. Moran said that after having finished his delivery round on September 19, 2013, he entered the No 70 bus to go home and put €2.20 into the machine for his €2.15 fare. He had to ask the driver to press a button to print his five cent refund receipt. The driver ordered him off the bus and, when he refused, the gardai were called. Moran told barrister Jeri Ward, counsel for Dublin Bus, that he had been defamed by being publicly ordered off the bus and mention of the gardai being called. Later people on the street had asked him why he had been ordered off a bus. Judge Linnane said bus driver Brendan Connolly had been perfectly justified in asking Moran to get off the bus. His refusal had resulted in other passengers being delayed for up to 40 minutes and two other men becoming “extremely threatening, abusive and intimidating” to the driver. She was satisfied Connolly had acted professionally at all times. Another passenger, Donal McDermott, had heard shouting by the two other men, one of whom had said he would have Connolly’s job. “If Mr Moran had not been verbally abusive to the driver and got off when asked to, none of what the driver had to endure subsequently would have happened,” the judge said. She accepted fully Connolly’s account of what had taken place and told Ward her client had no case to answer and dismissed Moran’s defamation case against Dublin Bus. Awarding legal costs against Moran the judge said she thought it was appalling what the driver had had to endure. Email “Man who tried to sue after bus driver didn't give him 5c receipt now faces €20k legal bill”. Feedback on “Man who tried to sue after bus driver didn't give him 5c receipt now faces €20k legal bill”.